T’nalak is a traditional cloth found in Mindanao island made be the T’boli tribe. The cloth consists mainly of red, black, and color of the Abaca leaves which are a dark verdant green, and is said to be chosen as the festival motif because is symbolizes the blending of culture, strength, and unity. 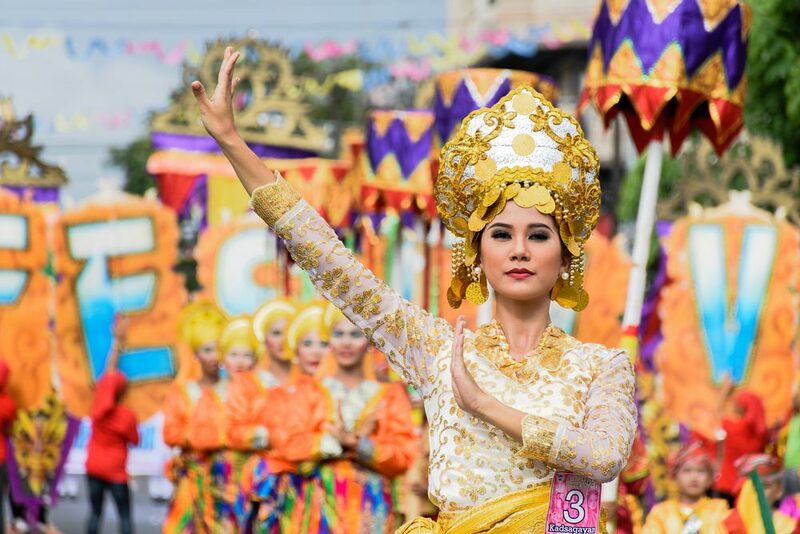 The festival is celebrated in mid July and is part of the commemorations for the anniversary of the founding of South Cotabato province and includes a civic parade with colorful floats and street dancing. Try the South Cotabato government website or the official Facebook page for a detailed schedule listing.